This is the second in our series of posts which illustrate how libraries contribute to a wide range of outcomes. Last week we shared examples of how libraries support increased reading and literacy. This week it’s all about culture. Libraries are well-placed to increase participation in cultural activities because of their use by all social groups and their role as inclusive cultural hubs within communities. Libraries also point people to wider cultural activities, objects, knowledge and sites, and encourage individuals to explore different cultural experiences and to create things themselves. Below is the icon we have created to symbolise this outcome. To make it easier to spot related content, you’ll start to see this on material produced by the Libraries Taskforce that relates to work being done that supports this outcome. It’s freely available to download from this folder if others want to use it. Arts Council England is the national development agency for libraries in England in all they do, bringing particular expertise and support for libraries in developing their cultural and creative offer. This takes many forms, not just investment, and most of the work shown below is the result of that support. “This Offer recognises public libraries as welcoming places where children and adults can immerse themselves in every form of art: learn from local artists; create their own art; watch theatre, music and dance performances; and learn about art and culture through books and reading. This was the description of the work done in St Helens as they were shortlisted for the CILIP Libraries Change Lives award 2015. As part of the programme, audiences were invited to attend performances of ballet, music, storytelling, theatre, spoken word and poetry as well as visual art exhibitions. Participants could enjoy a range of opportunities to ‘have a go’ themselves, including digital arts, paper den making and story-telling workshops. With match funding from Public Health, they commissioned Collective Encounters, a professional arts organisation specialising in theatre for social change, to deliver a music and drama project with adults affected by mental health issues. Further work addressing mental health stigma was delivered by the Comedy Trust, who sourced additional funding from Time to Change to deliver stand-up comedy workshops for adults. Taken during the performance of 'I Believe in Unicorns' by a theatre company called Wizard Presents. 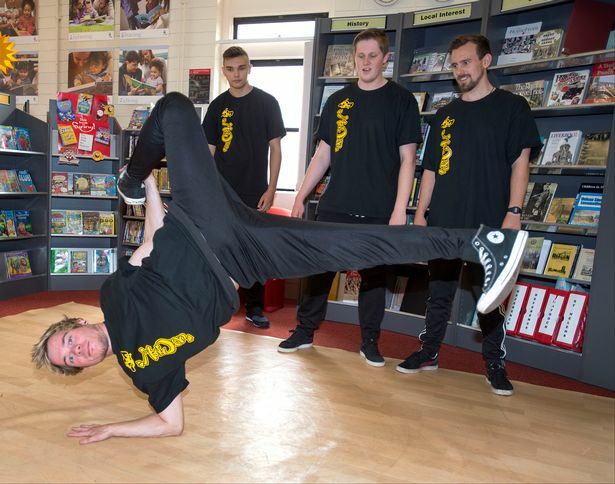 Cultural Hubs has enabled a real focus on pushing the boundaries of how library spaces can be used and enabled them to offer arts experiences to people in their own neighbourhood. One audience member summed it up when they said “A play like this would be something we would usually have to go to Liverpool or Manchester to see so it’s amazing to have a quality production like this in my local library”. Find out more about this programme in the case study we published as part of our Libraries Shaping the Future Toolkit. There have been nationwide celebrations in libraries connected to the Shakespeare anniversary 2016 and more are planned. Librarian Theatre are a small team who crowd sourced funding and developed a play that was designed explicitly to take place in libraries to celebrate the Shakespeare anniversary. Their tour is now complete, but watch out for their future plans. 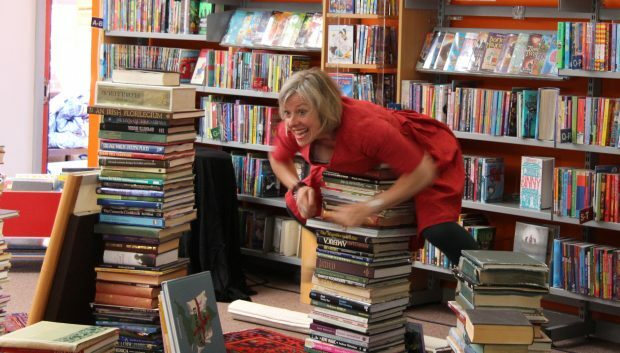 Libraries as Fun Palaces. This programme sees many places in a community opening their doors and running a series of activities under the theme: Everyone an Artist, Everyone a Scientist. Many libraries took part in 2015, and looking at the list of places signed up for 2016, there are lots of new sites who are interested. And there are many, many more. To make sure you catch all the articles in this series, subscribe to our blogs via the signup box in the right hand panel. And if you know of any projects which also illustrate this outcome, please let us know - either by telling us about it in the comments below, or email us at librariestaskforce@culture.gov.uk and and we’ll work out whether it might make a future blog post or case study. Next week we’ll share how libraries contribute to stronger, more resilient communities.